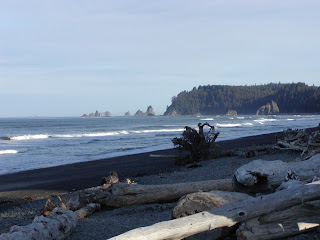 The Olympic National Park is a World Heritage Site. It earned this designation based on the diversity of its ecosystems. The Olympic National Park features 37 peaks over 7000-ft. in elevation, including the citadel of Mount Olympus at 7,965 feet. These peaks are cloaked year-round in more than 60 pristine glaciers and surrounded by alpine meadows and thousands of acres of old growth forest. 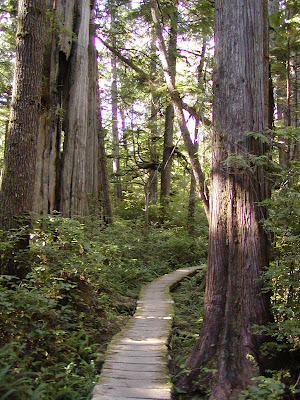 The Park includes one of only three temperate rainforests left on the planet and the largest example of virgin temperate rain forest in the Western Hemisphere. Twelve major river systems (and 200 smaller streams) drain the Olympic mountains, offering some of the best habitat for fish species in the country (and the best hope for restoring native salmon runs in the Pacific Northwest). The park also includes 57 miles (100 km) of wilderness coastline, the longest undeveloped coast in the contiguous United States, and is rich in native and endemic animal and plant species. 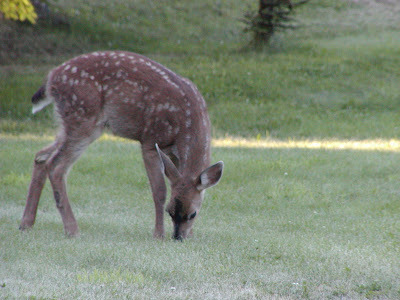 The Park contains more than 1,200 plants, 300 species of birds, and 70 species of mammals. Some species are unique to the Olympic Peninsula and are found no where else in the world. 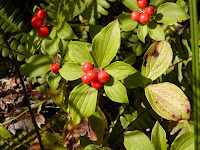 Attributed to geographic isolation in the last ice age, these species include the Olympic marmot, the Olympic torrent salamander, the Beardslee rainbow trout and Lake Crescent cutthroat trout, Flett’s violet, Piper’s bellflower and Olympic Mountain milkvetch. The American Forestry Association has recognized more than 9 trees within the borders of the Olympic National Park as the largest living specimens of the species in the United States including Douglas Fir (298-ft.), Grand Fir (251-ft.) and Western Hemlock (241-ft)—making all these trees taller than a 20-story building! Since its rugged terrain had virtually precluded any development in the Park, in 1988 Congress designated 95-percent of the Olympic National Park (or 876,669 acres) as federal wilderness. The Olympic National Park was named a Biosphere Reserve by UNESCO in 1967 for its scientific value as a major reserve of temperate rain forests and a large, protected and virtually “un-manipulated” ecosystem. The Olympic National Park was further recognized as a World Heritage Site on October 27, 1981. Based on the notion of the Seven Wonders of the Ancient World, nations have agreed by special treaty to give special recognition—and protection—to important natural and cultural areas. Other World Heritage Sites include ancient Thebes and the pyramids of Egypt, the Serengeti National Park in Tanzania, the Great Barrier Reef in Australia, and Yellowstone, the world’s first national park.